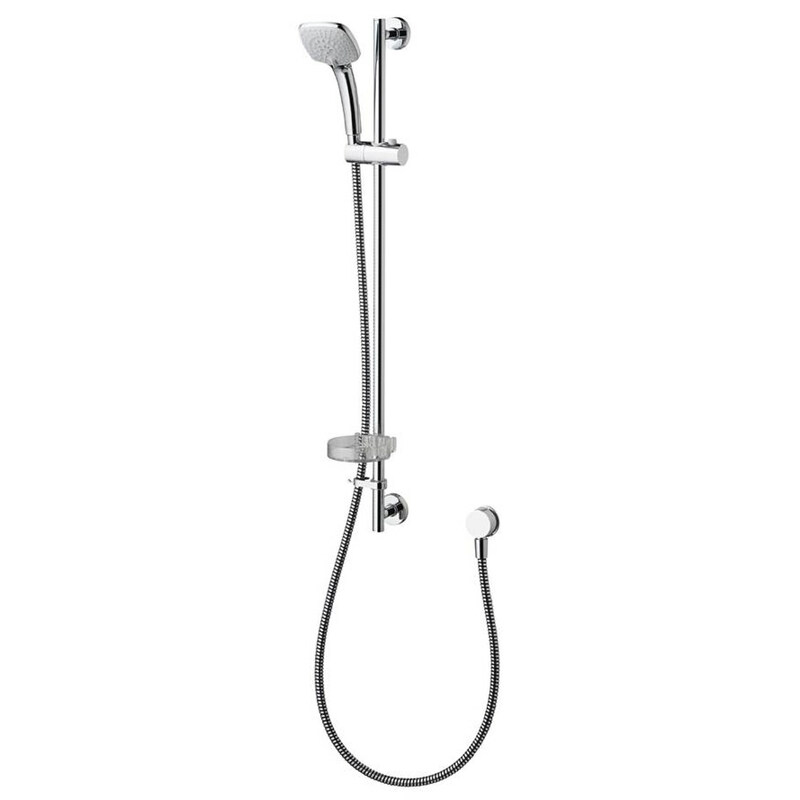 Lissom and elegant Ideal Standards Idealrain Cube M1 Slide Rail Kit with its chrome finish not only makes an impressive display but also functions with a flourish. 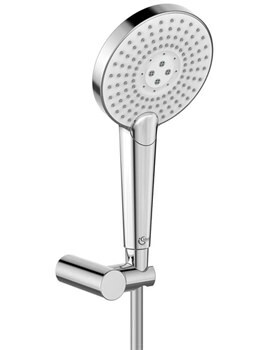 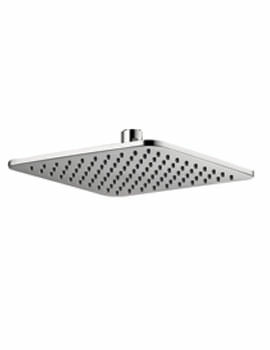 Perfect for flawless everyday use, it comes with lime scale resistant rub-clean nozzle for easy maintenance. 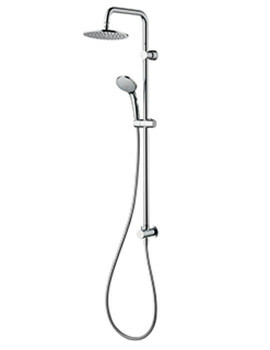 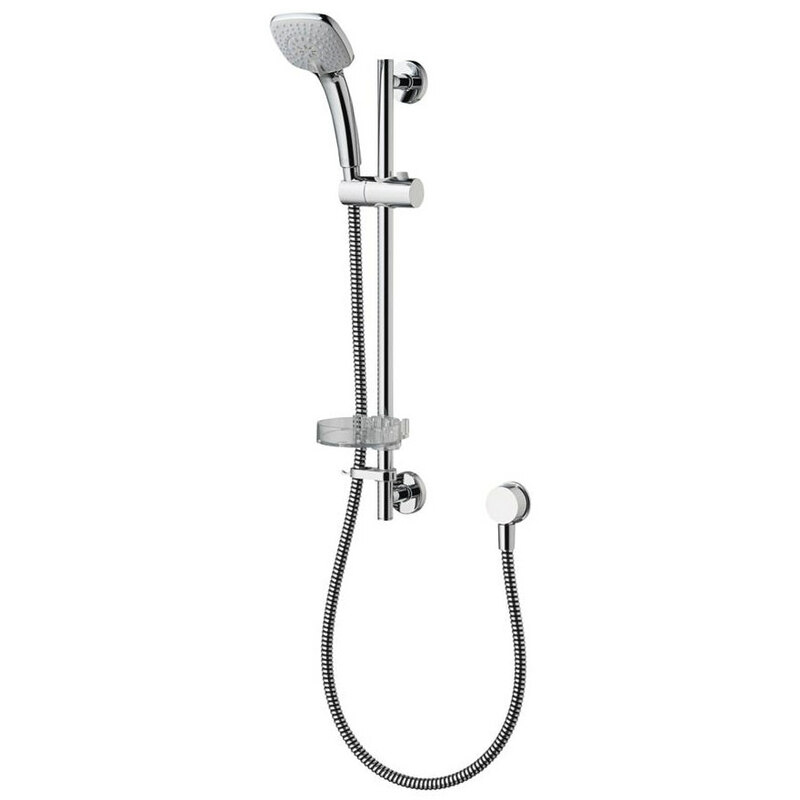 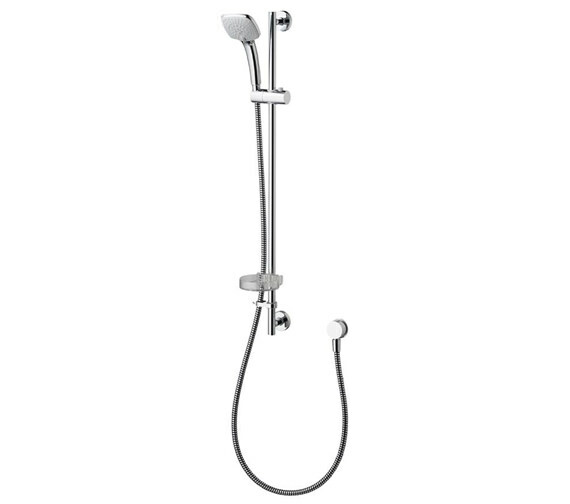 The kit includes shower handset with a 100mm Head, a slide rail, a flexible hose with retainer, wall elbow and hand spray holder. 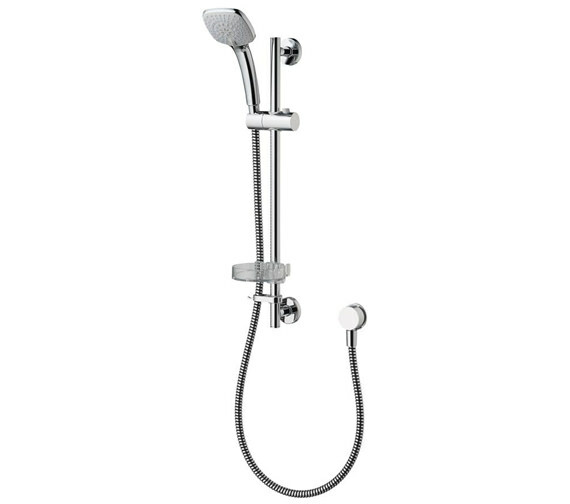 Whats more, it also includes a soap dish for convenience within easy reach. 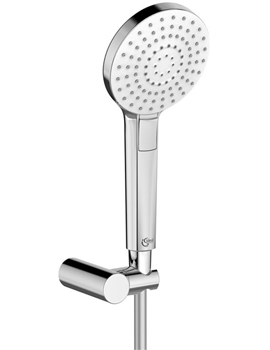 Requiring minimum 0.1 bar water pressure for smooth functioning; it produces a flow rate of 5.6 litres per minute at minimum pressure and is guaranteed for five years. 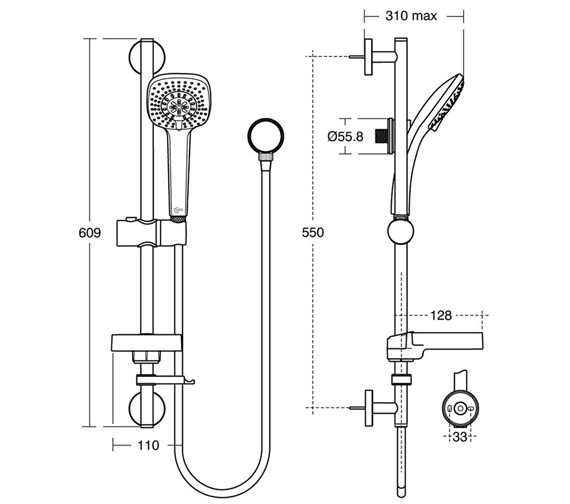 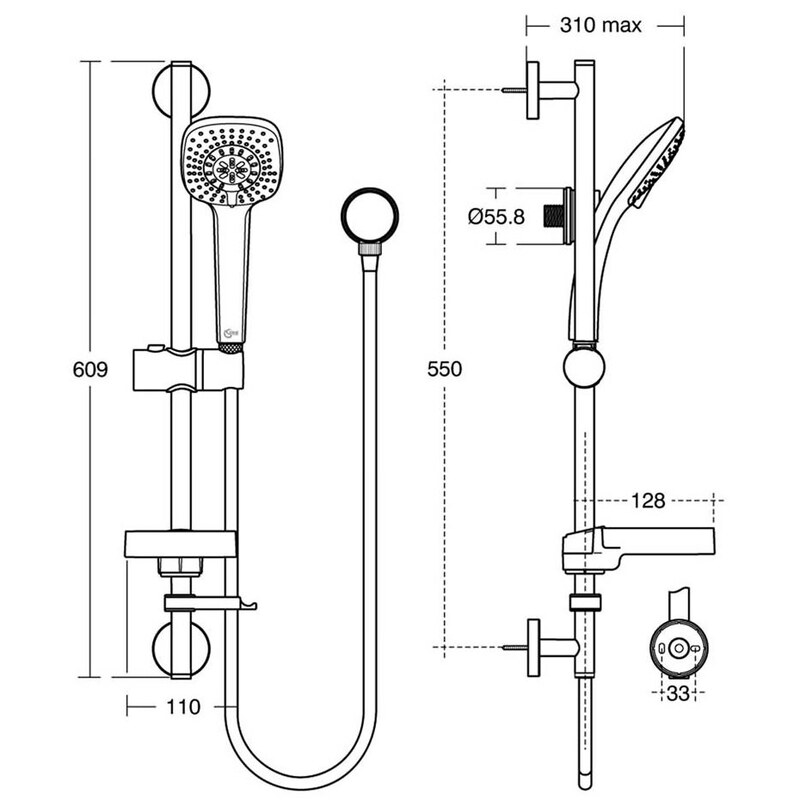 900mm Shower Rail With 1800mm Hose - B0013AA.